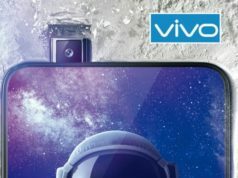 The highlight features of the smartphones lie in their bigger display, faster processor and the enhanced camera features which sure are going to make you experience another level of smartphone tour. The price of the smartphones start at USD 999 (Approx. INR 99,900) which is set for iPhone XS' lowest storage variant. 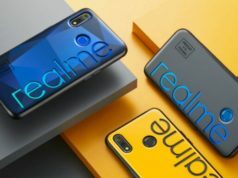 The other models like iPhone XS Max and iPhone XR are set at a starting price of USD 1,099 (Approx. INR 1,09,900) and USD 749 (Approx. INR 53,853) respectively. 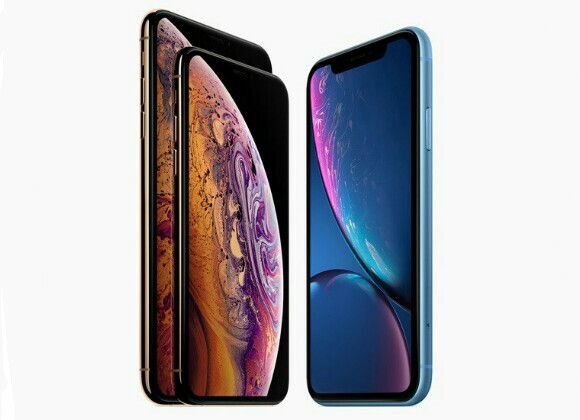 The color variants include Silver, Gold and Space Gray for the iPhone XS and iPhone XS Max model while the iPhone XR will be available in White, Black, Blue, Yellow, Coral and Red color variants. The much awaited and intensely speculated Apple’s annual event kick-started on Wednesday as per Indian Standard Time and the whole world witnessed the unveiling of three flagship smartphones by world’s tech giant, Apple. The three smartphones named iPhone XS, iPhone XS Max and iPhone XR seem to be fully made to woo the inner tech thrust of every smartphone lovers. The event took place at Steve Jobs Theatre in Cupertino, California and it was named ‘Gather Round’ event. The highlight features of the smartphones lie in their bigger display, faster processor and the enhanced camera features which sure are going to make you experience another level of smartphone tour. 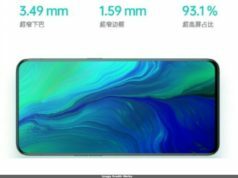 The company has not brought much difference between the iPhone XS and the iPhone XS Max variants except the display size. 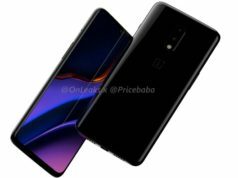 The duo are the flagship smartphones replacing the iPhone X launched last year with a notch design. The iPhone XS sports a 5.8-inch OLED Super Retina HD (1125x2436pixels) display with 19.5:9 aspect ratio along with 82.9% of screen-to-body ratio and pixel density of 458ppi. Wherein the iPhone XS Max sports a 6.5-inch OLED Super Retina HD (1242×2688 pixels) display with 19.5:9 aspect ratio along with 84.4% screen-to-body ratio and pixel density of 458ppi. The iPhone XS Max is the largest of all the models produced by the American tech giant so far. Apart from the display size, the rest of the details remain the same in iPhone XS Max with that of iPhone XS model. The iPhone XS weighs 177g in comparison to iPhone XS Max with 208g, and the former measures 143.6×70.9×7.7mm while the latter measures 157.5×77.4×7.7mm. With regards to the optics, both the iPhones show much upgraded version of the previous camera features. 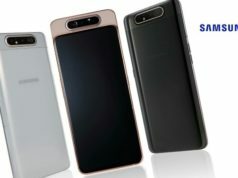 The smartphones sport dual lens camera module at the back with primary lens bearing 12-megapixel wide-angle sensor with f/1.8 aperture while the secondary lens bearing 12-megapixel telephoto sensor with f/1.4 aperture. It has the ability to focus at 2x zoom and comes with 6-element lens. The rear dual lens camera setup is backed with a TrueTone quad-LED flash. The selfie shooter bears a 7-megapixel RGB sensor with f/2.2 aperture. Under the hood, both the iPhones are powered by a hexa-core A12 Bionic SoC, coupled with 4GB RAM and 64GB/256GB/512GB internal storage variants. The iPhones run on latest iOS 12 which the company claims to have mechanised for faster performance and heavy duty durability. 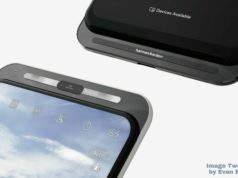 The company has continued with Type A charging port, which is in contrary to the recent rumours of Apple exploring the option of Tyep C port. The model is the new entry level presentation for this year like the company does every year. The iPhone XR is reported to replace the iPhone 8 and iPhone 8 Plus and comes with edge-to-edge design and Face ID feature. It sports a 6.1-inch LCD Retina display with screen resolution of 828×1792 pixels, 19.5:9 aspect ratio and pixel density of 326ppi. As for the optics, it has been gifted with only single lens camera with 12-megapixel sensor and f/1.8 aperture, coupled with quad-LED TrueTone flash for low-light photography. The back camera features flicker-detect system, OIS (Optical Image Stabilization) and Focus Pixels. The front selfie shooter bears a 7-megapixel sensor with f/2.2 aperture and improved Portrait mode, IR Camera support, Advanced Bokeh Depth Control and Dot projector. Under the hood, the smartphone runs iOS 12 and is powered by a hexa-core Apple A12 Bionic SoC, coupled with 3GB RAM and 64GB/128GB/256GB storage variants, also paired with Apple Quad-Core GPU technology. It also has been touted to come with a bigger battery backup for heavy duty durability and long talktime. On the Connectivity front, three of the iPhone models feature dual band WiFi 802.11 a/b/g/n/ac, hotspot, Bluetooth v5.0 LE, GPS/A-GPS, GLONASS, NFC, Type A 2.0 port and does not have a 3.5mm audio jack. The sensors on-board include Face ID, Accelerometer, Gyroscope, Proximity, Digital Compass and Barometer. It weighs 194g while measures 150.9×75.7×8.3mm.